Theater director and writer JoAnne Akalaitis is the winner of five Obie Awards for direction (and sustained achievement) and founder of the critically acclaimed Mabou Mines in New York. 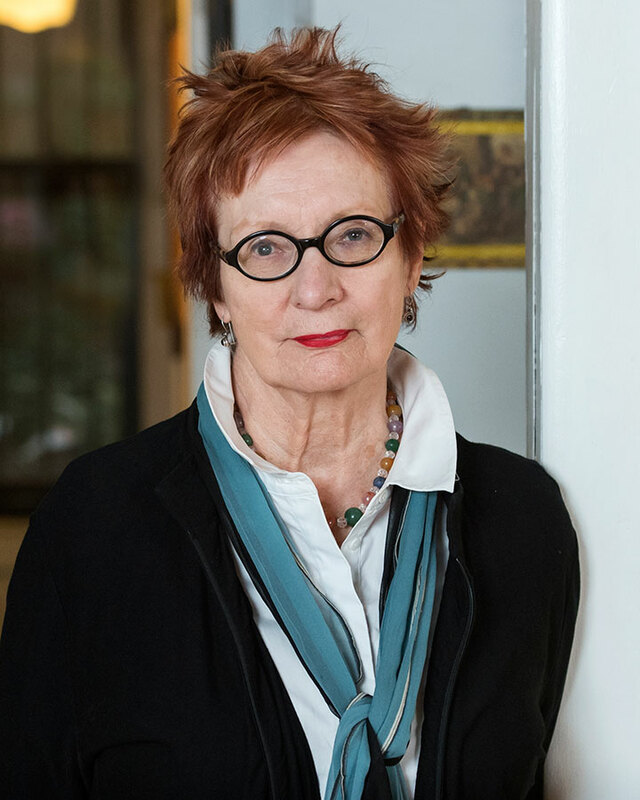 In addition to the American Repertory Theater — where she directed ENDGAME and THE BALCONY — she has staged works by Euripides, Shakespeare, Strindberg, Schiller, Beckett, Genet, Williams, Philip Glass, Janacek, and her own work at Lincoln Center Theater, New York City Opera, Goodman Theatre, Mark Taper Forum, Court Theatre, Opera Theatre of Saint Louis, and the Guthrie Theater. She is the former artistic director of the New York Shakespeare Festival and was artist-in-residence at the Court Theatre. Ms. Akalaitis was the Andrew Mellon Co-chair of the Directing Program at Juilliard School, and is currently the Wallace Benjamin Flint and L. May Hawver Flint Professor of Theater at Bard College. She is the recipient of a Guggenheim Fellowship, National Endowment for the Arts grants, Edwin Booth Award, Rosamund Gilder Award for Outstanding Achievement in Theatre, and Pew Charitable Trusts National Theatre Artist Residency Program grant.